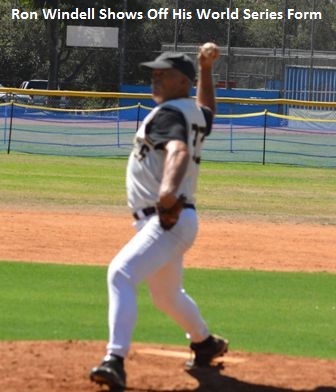 Doug Johnson’s North County MSBL League in San Diego, California’s North San Diego County made its 62+ league debut in spring of 2015 with two teams, the Phillies and Bruins. By the spring 2018 season the 62+ league had grown to eight teams in American and National divisions. 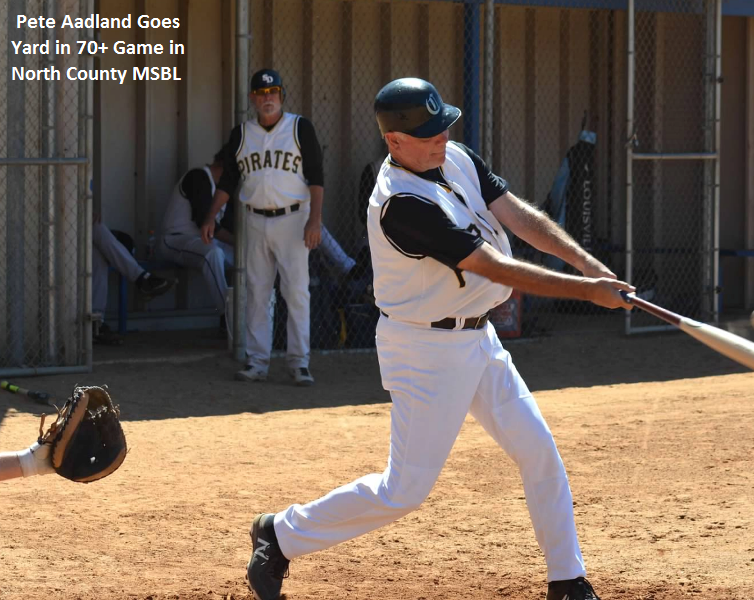 This summer Tom Shess and John Hopkins realized we were sending three different 70+ teams to the 2018 MSBL World Series in Arizona the week of October 14. From there the light bulb went on: If we’re sending three teams to Arizona, why not start up a new 70+ league to give these guys some 70s-like practice games? From there the idea was born. As 70+ league commissioner I decided to form two teams of players who were available Sundays and were headed to the World Series, as well as asking any other local 70+ player who would like to join. Our eight game season started August 12, pitting manager Jack Valentine’s Jacks Hitters versus manager Tom Shess’s Toms Team. 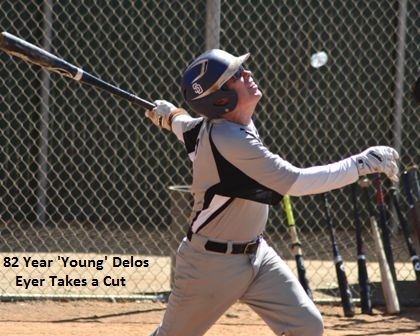 The friendly competition (each team has won at least one game) heated up this past Sunday, September 16 in the sixth inning when Pete Aadland of the Jacks Hitters team launched a towering blast over the San Pasqual High School JV field left-field fence. According to opposing team manager, Tom Shess, “The ball is now in its 25th orbit of the Earth.” Jacks Hitters won the game 10-4, but nobody will remember that any more.